I came across a photo contest the other day and thought it was a kind of an interesting one. Sponsored by Travel Supermarket, a British online travel seller, the contest is open to anyone around the world who has a blog. And this blog post is actually our entry! What you have to do is to post five of your favourite photos...one of each depicting the colours yellow, red, green, white, and blue. It was pretty tough sorting through six years of photos. And even more difficult finding photos where one colour stands out more than anything else and have the photo be good enough to enter into a contest. But, while there will be one overall winner picked, there are also winners for each colour category. Plus, our photos were taken with a little $150 pocket camera and we're competing against some people who are using thousands of dollars worth of photography equipment. So all we can do is to be hopeful that following photos will stand out to the judges. Like they say, you can't win if you don't enter the contest! Taken in the market at San Cristobal de las Casas in Chiapas, Mexico. 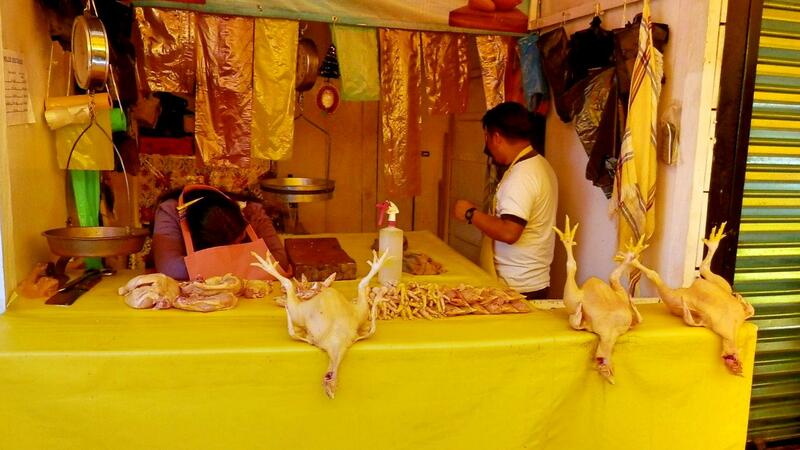 The vendor said it was okay to take a picture, providing their faces were not shown. Many of the indigenous people of Chiapas believe that part of your soul disappears when your photo is taken! 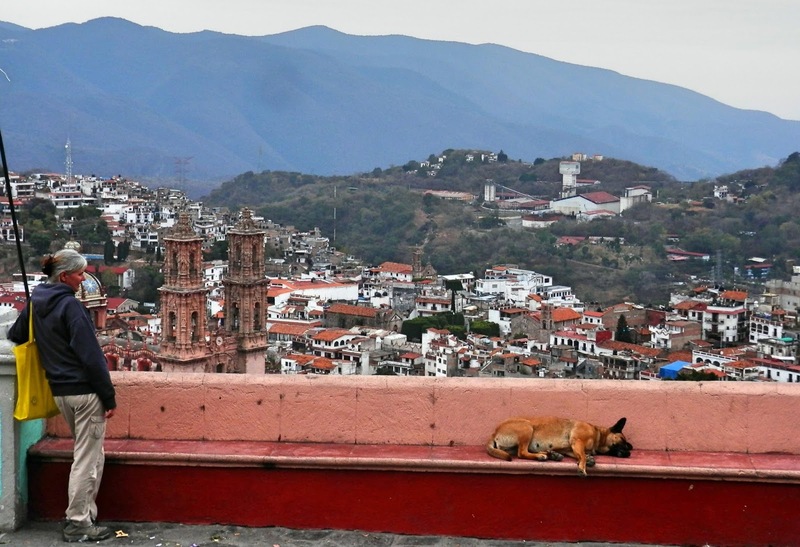 Admiring the view at Taxco, Mexico. 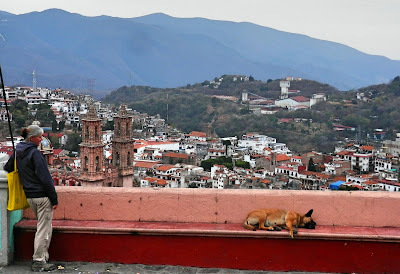 Typical Mexican dog having a siesta is not bothered by our presence! Hiking near the town of Terchova, Slovakia. These hills are full of wonderful hiking trails and we could have spent weeks there. Beautiful part of the world! 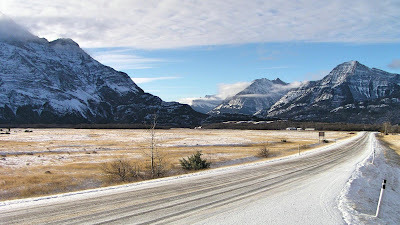 An early winter dusting of morning snow at Waterton Lakes National Park in Alberta, Canada near the Montana border. Our favorite Canadian national Park. 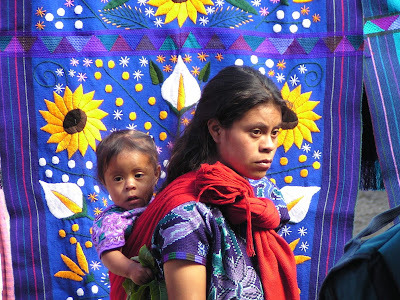 A Chiapas Indian woman and her daughter with some of the handmade goods that they sell in Chamula, Mexico. Okay, so there are our five entries! Only thing left to do is to nominate five other bloggers to follow our lead and post entries of their own. Of course you're under no obligation to do so, but I would love to see some your favourite pics! Not only is that last one blue, but the subject looks a little "blue" as well. Maybe just a bit pensive? No she wasn't blue, just reserved I would say. She was busy trying to sell her handiwork. Great pics for your pictures. Good luck. What about the other contest? love the photos, good luck! This was an easy one because another travel blog that we follow had posted it, didn't even have to search for it. Looking at your pictures, I think you've won already. I'd enter the contest but most of my pictures have my thumb in the way. Of course in one, my thumb was blue because I lost my mittens, red when I hit my thumb with a hammer, green when I hung out in Oregon during the rainy season, yellow when I made a snowball with some yellow snow and white when I went skiing in an avalanche zone. There are some amazing pictures that we are up against. I think you should enter, your thumb ones would win hands down, or would that be "thumbs", lol! I am sure that you will have some fantastic ones to enter. Sorting through them is what is so time consuming, that is for sure. Good Luck! Al of bayfield has wonderful pics also and russ of therapy actually won a contest with one of his. They can both enter the contest! I remember the picture that Russ took, is deserved to win.